It had been a scorcher of a month but sadly the rain came. However, a trip to the Scottish Café and Restaurant, owned by the Contini family, brightened up our day. This café and restaurant is open only during the day and can be found nestled at the bottom of the National Gallery. The summer menu offers a very reasonable two courses for £20 or three courses for £25, as well as sharing platters, brunch, roast and afternoon tea options. We ordered the Sunday roast and cullen skink but as this was a complimentary trip they kindly also laid on a sharing platter after we had ordered. This platter included the sandwich of the day, which was chicken, a whipped cheese and walnut dip, a salmon dip and a tomato salsa, oatcakes, crackers, cheese and salad as well as two luscious bowls of soup. This was an excellent offering which we scoffed down. I particularly loved the soup and my dining companion liked the salmon. The oatcakes and crackers worked well for scooping. My roast was beautifully presented and certainly was more of a summer roast. A colossal amount of chicken was on the plate, alongside a light and fluffy Yorkshire pudding, with various vegetables including mange tout, tomatoes (yeah, I know – technically a fruit), potatoes, and broccoli. This was all accompanied by a light gravy. This was a nice take on a traditional roast and I really enjoyed it. Across the table from me the cullen skink was a hearty sized bowl with plenty of fish, potato and leek in the creamy stew. There was also an additional large slice of bread for dunking. My friend really enjoyed this dish. We were really quite stuffed at this point but we’re determined to sample dessert, so chose to share a cheesecake between us. This came in a glass and was layered within it. The raspberry coulis was delicious and the cheesecake bit was light and creamy. It was a great way to round off the meal. 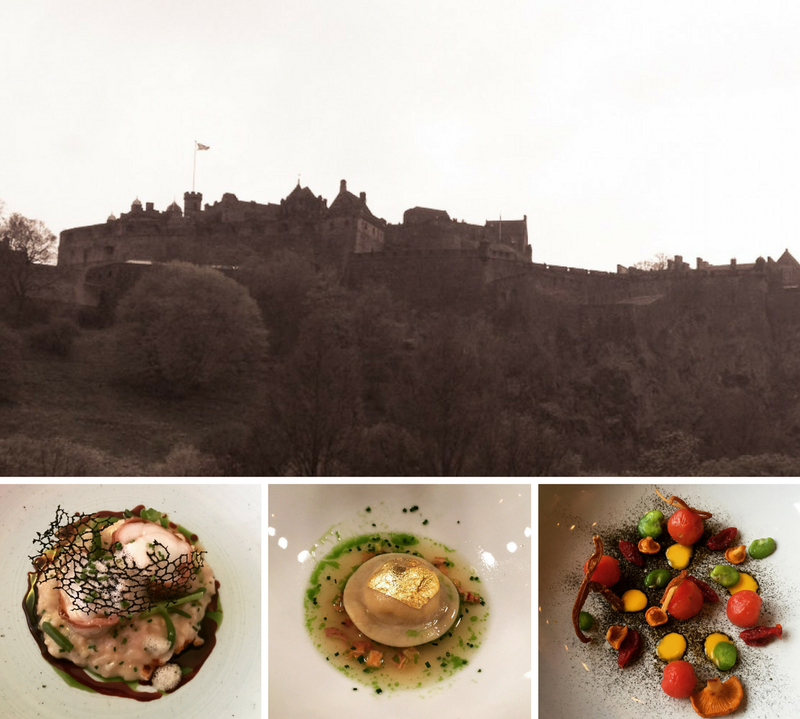 We were really impressed with the Scottish Café and Restaurant. They offered some really great food. This meal was complimentary, apart from drinks of two diet cokes and a tea. The true cost close to £65 for platter, roast, one main and dessert deal and drinks. Whilst this meal was complimentary, all views are my own. Thank you to Jon for organising the visit.